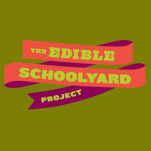 The Edible Schoolyard Project events include tours, conferences and workshops that are food and gardening related. Garden for the Environment holds gardening workshops on topics ranging from urban composting to growing fruit trees to when gardening how to avoid exposure to lead. Cost: Most of the workshops are free. Others vary between $5-25. Growing Readers Gardening Workshops are taught by Acta Non Verba. Feel free to attend one or all of the children's gardening workshops that are held at the Oakland Main Library. Urban Adamah holds periodic urban agriculture workshops at the farm. If interested in attending, please RSVP beforehand. Help stock Urban Adamah's food bank by bringing a can of food to their events. Pollinate Farm & Garden hold DIY, (Do it Yourself), classes on urban farming. Biofuel Oasis holds classes where people gain hands on experience and learn seasonal activities.